Kris Kristofferson is the sort of performer who gets a standing ovation just for showing up. That's exactly how the near-capacity audience last Thursday greeted this legendary singer-songwriter when he strolled out onto the Fox Tucson Theatre stage. Then he proceeded to perform about 90 minutes of songs from throughout his career, accompanying himself on acoustic guitar and harmonica. The 75-year-old Kristofferson's set list proved to be a travelogue through country music of the last 40 years. One after another, he played the classics the audience came to hear: "Me and Bobby McGee," "Best of All Possible Worlds," "Nobody Wins," "Loving Her Was Easier (Than Anything I'll Ever Do Again)," "Jesus Was a Capricorn," "Just the Other Side of Nowhere" and, well, the list goes on. He also did some tunes, such as "Pilgrim's Progress" and "Johnny Lobo," that he recorded in the 1990s and 2000s. Especially moving were songs that struck a balance between vulnerability and strength, or wavered between desolation and hope, or leavened darkness with humor. These tunes—like "The Silver Tongued Devil and I," "For the Good Times," "Help Me Make It Through the Night" and "Sunday Mornin' Comin' Down"—are among the finest in the country songbook. If you attended the show hoping simply to hear those, or maybe to sing along, you would've been satisfied. However, the stripped-down solo acoustic arrangements were often lacking in depth. The songs are inherently strong, and it was clear that Kristofferson wanted to go it alone, but the concert wasn't as dynamic as it could've been with just one or two other musicians. 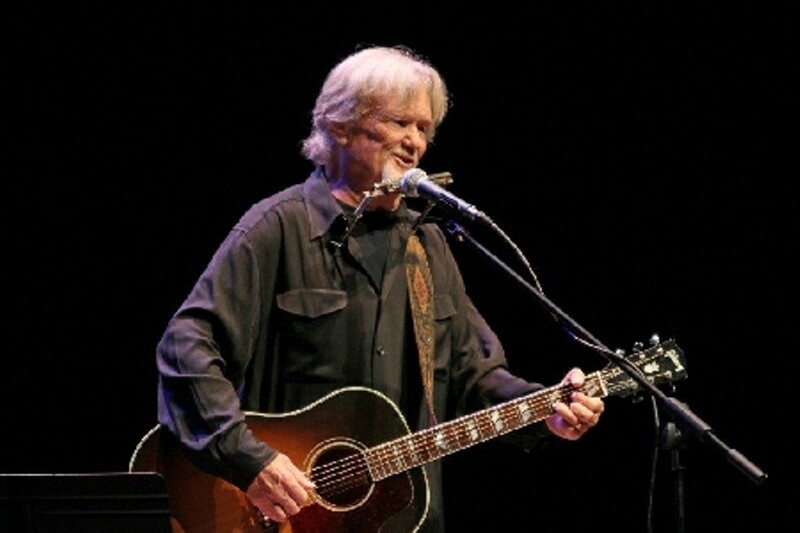 Kristofferson's voice is not what it used to be; it often sounded thin and strained. He flubbed a note or two on guitar as well, but little errors didn't fluster him. In fact, about a half-hour into the concert, he began to tune his guitar and stopped, commenting, "Eh, why should I try to get in tune now?" Such minor criticisms, however, seem inconsequential, considering one of the world's finest songwriters was playing his life's work before us. He closed with "Please Don't Tell Me How the Story Ends," and I couldn't help but hope for more chapters.